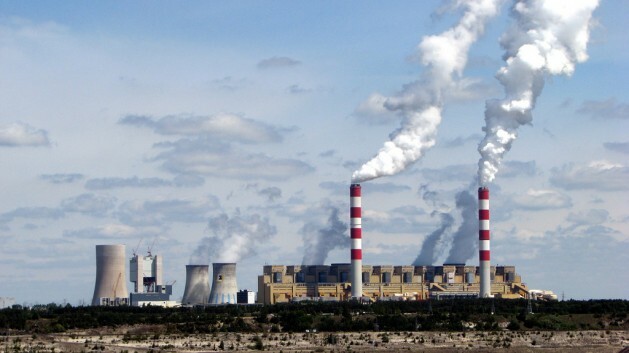 Why Are G20 Governments Subsidising Dangerous Climate Change? 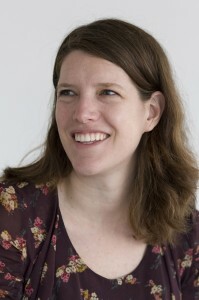 Shelagh Whitley is a Research Fellow at the Overseas Development Institute (ODI) in London. Her research focuses on private climate finance and private sector models for development. This analysis was prepared as G20 leaders prepare to meet this weekend in Brisbane, Australia, for their annual summit. LONDON, Nov 11 2014 (IPS) - Just a week after the Intergovernmental Panel on Climate Change (IPCC) gave its starkest warning yet that the vast majority of existing oil, gas and coal reserves need to be kept in the ground, a new report reveals that governments are flagrantly ignoring these warnings and continuing to subsidise exploration for fossil fuels. The report by the Overseas Development Institute (ODI) and Oil Change International (OCI) shows that G20 governments are propping up fossil fuel exploration to the tune of 88 billion dollars every year through national subsidies, investment by state owned enterprise and public finance. And this is only a small part of total government support to producing and consuming fossil fuels, which is estimated at 775 billion dollars a year. The G20 continues to provide these subsidies – mostly hidden from public view – in spite of repeated pledges to phase out fossil fuel subsidies, address climate change, and support the transition to clean energy. The subsidies provided to exploration by the G20 alone are almost equivalent to total global support for clean energy (101 billion dollars), tilting the playing field towards oil, gas and coal. The report also shows that G20 governments spend more than double what the top 20 private companies are spending to look for new oil, gas and coal reserves. This suggests that companies depend on public support for their exploration activities. As finding fossil fuels gets more risky, expensive and energy intensive, and the prices of oil, gas and coal continue to fall, companies are only likely to become more dependent on tax payers’ money to continue exploration. This was also demonstrated by the recent request by the United Kingdom’s oil and gas industry for further tax breaks to address rising operating costs in the North Sea. Some will claim that although these subsidies are uneconomic, exceptions can be made. After all, the arguments go, we need fossil fuels to provide energy access – and we can keep burning oil, gas and coal if we just use carbon capture and storage. This simply isn’t true. Doing so will drive dangerous climate change, with the impacts falling first on the most vulnerable people in the poorest countries and regions. First, when it comes to energy access, it is actually through clean energy that we will be able to provide heat and electricity to the poorest. According to the International Energy Agency, most new investment needs to be in distributed energy, including in mini-grid and off-grid options that most often rely on renewable energy sources. If G20 governments redirected 49 billion dollars a year – just over half of what they currently provide in support to fossil fuel exploration – we could achieve universal energy access as soon as 2030. Second, there has only been very limited application of carbon capture technology so far. The first and only full-scale ‘commercial’ carbon capture and storage project, launched this year in Canada, relies on government subsidies and sells the captured carbon to the oil industry, which uses it to extract even more fossil fuels. It is not a sustainable model. In short: fossil fuel exploration subsidies are fuelling dangerous climate change; this support is increasingly uneconomic; and oil, gas and coal will not address the energy needs of the poorest and most vulnerable. The G20 countries have the resources to support a transition to clean energy. They can set an example for the world by shifting national subsidies, investment by state-owned enterprise and public finance away from fossil fuels and toward renewables and efficiency. G20 leaders meeting in Brisbane this week must recognise this and make good on their existing pledges. Immediately phasing out fossil fuel exploration subsidies would be the right place to start. If there are no buyers, there won’t be sellers. As there is a demand for more fuels, money-makers will do anything to get and sell them. Buyers(=spenders) have no qualm about engaging in activities(eg flying to holiday resorts) that use up a lot of fuels. To whom should we take our concerns? How about the only people who can intervene? They (or it) are called government and when elected to lead have a responsibility to look for alternatives to a troubling issue. Perhaps where you live atop Big Rock Candy Mountain, everything’s honky dory but in most of the world carbon based energy, oil, coal, natural gas and others are causing climate change. Yes, I realize your community is high density and because it is fed on media reminders 24/7 most of it reacts accordingly and fly off to holiday resorts without a thought about the real cost of getting there. and the first place to start is to quit looking for excuses to not use those alternatives. The day that giving subsidies to carbon based energy providers is made illegal will be the first day of that new world. Sadly though and especially in the west, most of us (again thanks to media) continue to harbour the illusion that politicians who sell themselves to the highest bidder are not activist criminals. Maybe it’s time western governments take a page out of China’s current anti-corruption policy and get serious about crime against the people. If We are going to rid the world of Your so called stupidity better start with You!! Look at geological history and You will find that the earth has had much higher and lower CO2 levels and temperatures then now!! Yes I believe in climate change but it is natural cycles not man made!! If Man is causing it then explain the much higher temps and CO2 levels in times before Man ever started burning fossil fuels!! Some one posted an article from a 1922 Washington Post that said the same things about the arctic ice caps melting that they are saying today! Forest fires in the USA alone put more CO2 in the air then all efforts by the USA to limit it remove in 5 years!! One volcanic eruption can put more pollution in the air then man has produced since He started using fossil fuels! It is all about the money! !Al Gore would be a billionaire today if He could have scared people into getting the Kyoto treaty signed! !Follow the money!! Mr Holmes, Your viewpoint is welcomed, but I am not sure your conclusion supported. Regardless, your focus on following the money is worth discussion. So if we follow the money spent by the major emitters,; is it safe to say they are attempting to buy a licence to dril, mine, excavate and utilize as much of our natural resources as possible and do it as quickly as possible? Discounting the impacts on Climate Change; you seem to support the irresponsible rush to deplete all natural resources?